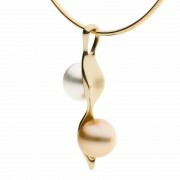 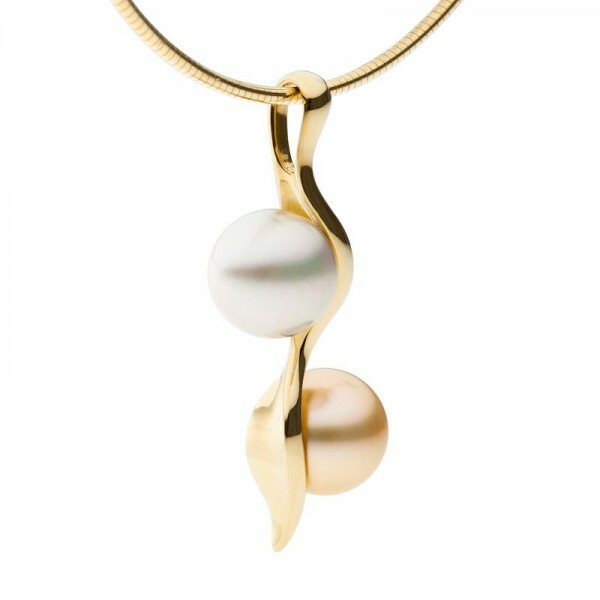 Gentle curves of gold host two South Sea pearls in silky white and the rare natural gold. 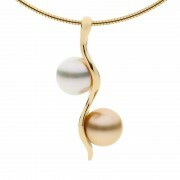 These are the two natural colours of pearls found in Broome, Western Australia. This colour combination suits any skintone and can match or enhance any outift; especially stunning when worn with blue tones.